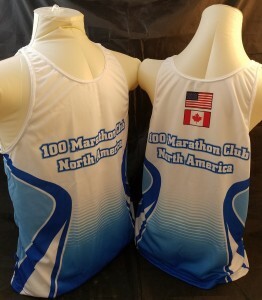 Official singlets of the 100 Marathon Club. Men's and Women's specific. American and Canadian Flag on the back.